The Mall of Cyprus reaffirms its reputation as the ultimate festive destination by welcoming Santa Claus from faraway Lapland for the fourth consecutive year. On his journey around the world, the beloved Santa Claus will be making a four day stop in Cyprus to meet his little friends and be photographed with them as the year draws to an end. 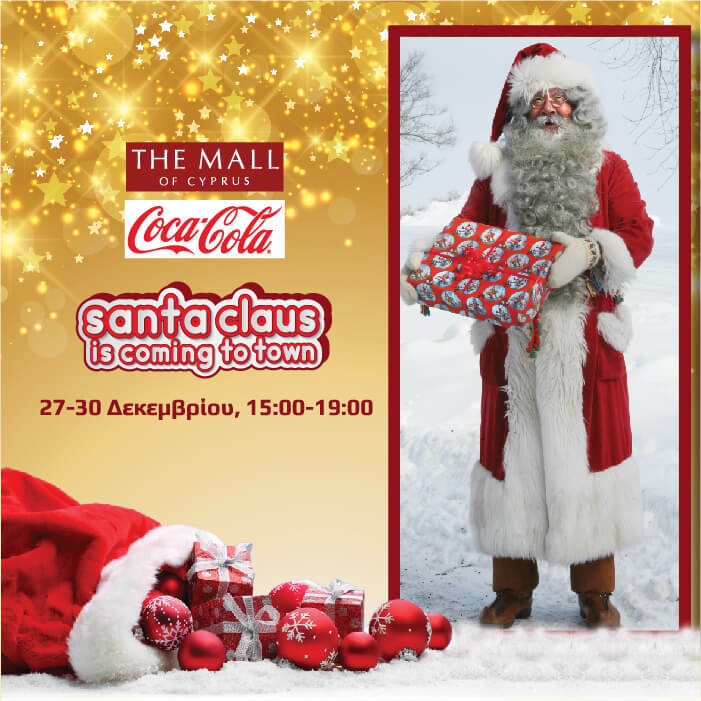 In a festive atmosphere filled with music and accentuated with the unique decor of The Mall of Cyprus, Santa Claus will be awaiting children of all ages, sharing the festive spirit with them while spreading great joy every afternoon from 15:00 to 19:00, from the 27th until the 30th of December. Photo shoots will be conducted by professional photographers and all pictures will be printed on site for free.